As a homeowner, you carefully manage your budget to take care of your family. Summertime temperatures bring higher utility bills, and unexpected repair costs may mean the difference between a fun-filled family vacation and canceling your plans. 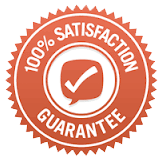 The friendly and professional staff of And Services is always available to help with your HVAC repairs, installations, maintenance and questions, but we also want to help you save money whenever possible. Our tips for troubleshooting your air conditioning problems help you decide when you need the professional support of our technicians. When Should I Call an HVAC Technician? How Do I Troubleshoot My Air Conditioning System? 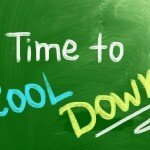 Many common air conditioning problems can be fixed with a few basic steps. If you try these steps and your system is not working or cooling properly, contact us. We will send a technician over right away! The filters of your HVAC system may need to be replaced. Clean or replace the filters. If you still have limited air flow, you will need a technician to check your ductwork. The ductwork may be leaking, or something may be stuck in the ducts. Improper cooling can be caused by many problems. Filters If you haven’t replaced your filters this year, it may be time. Clogged filters can restrict the flow of cooled air throughout your home. Broken Thermostat A thermostat tells your air conditioning system when to turn on and off. If your thermostat isn’t working properly, it may not get an accurate reading of the indoor temperature and turn off your system prematurely. You can use a simple handheld digital weather thermometer to take a reading inside your home. Compare the reading to the temperature that is indicated on the thermostat. Be sure to use the indicator on your thermostat that shows the indoor temperature and not the thermostat setting. If the thermostat reading is lower than the reading from your handheld thermometer, chances are that your thermostat needs to be replaced. 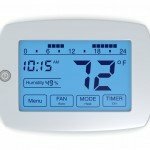 We offer a variety of thermostats that can be installed quickly! System Isn’t Draining Your system has a drain that removes excess water during the cooling process. Check the drain to see if it is clogged or if the drain outlet is blocked. If the filter, thermostat and drain are working properly, your refrigerant may be low. A technician should check the system to diagnosis and repair the problem. Thermostat If you change the temperature setting on your thermostat to a point where the system should turn on but doesn’t, your thermostat may need to be replaced. And Services carries a full line of thermostats, and we can have a technician at your home in no time! Power Problem Check your fuse box to see if any breakers are tripped. Reset the breakers, and try to turn on your air conditioner. If this does not fix the problem, or if the breaker trips again, you should not try to troubleshoot the problem any further. Contact us to have an expert technician look at your system.